Schedule Treatment at euroCARE IVF When it’s Best Suitable for You. 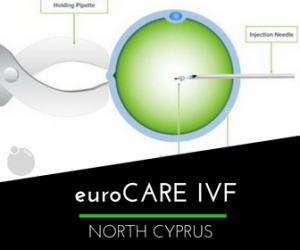 euroCARE IVF in North Cyprus takes an active role in conducting fertility research. Our goal is to be on the leading edge of tomorrow’s advanced fertility procedures. Dr. Armağan Ulubaş are consumed with passion to encourage our fertility patients to hold on to their dreams of parenthood — as we are creating miracles every day. Intracytoplasmic sperm injection (ICSI) has been tested worldwide and experience shows that ICSI is extremely successful in achieving fertilization, the establishment of a pregnancy, and the birth of a healthy baby. Intracytoplasmic sperm injection (ICSI) is now a common technique used in the process of in vitro fertilization (IVF). It is used when when there is a case of male fertility. Through ICSI, a single sperm is injected directly into the egg. The sperm then bypasses several steps in the early fertilization process. To ensure fertilization, our team of IVF specialist perform the ICSI procedure. This technique involves the insemination of each egg by the micro-injection. Our dedicated ICSI expert selects a sperm cell. Selection is based on its motility (ability to move), normal head shape and overall appearance. The single sperm cell is then placed into a tiny, hair-thin glass needle. Our euroCARE IVF doctor inserts the needle through the outer shell of the egg. The needle goes all the way into the egg’s center. This direct injection helps the sperm fertilize with the egg. Our IVF doctors examine the egg the following morning to determine if fertilization has occurred. If the egg and sperm successfully fertilize, the resulting embryo is then transferred into the carrier’s uterus at its best developmental stage. A blood test is required 2 weeks after the embryos are transferred to the womb to determine if a successful pregnancy has occurred. Our certified fertility specialists at euroCARE IVF have decades of clinical experience in IVF and infertility treatment, helping thousands of families realize their dreams of having a baby.